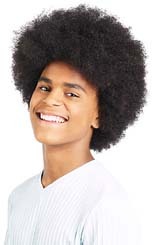 Gifted children are quick on the uptake, can be frustrated by repetition and easily become impatient when unchallenged. Challenging the Gifted Child: An Open Approach to Working with Advanced Young Readers outlines a tried and tested approach for encouraging able children to focus their active minds in a productive way and discover the joy and value of reading. Margaret Stevens explains the criteria for choosing appropriate reading for the child and describes ways to help deepen their understanding of both literature and language. 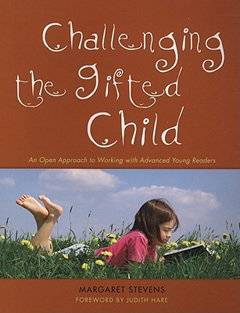 Using examples from the author's extensive experience, Challenging the Gifted Child: An Open Approach to Working with Advanced Young Readers encourages the development of independent learning skills and will help parents and educators to create a personalized reading programme for a gifted child at home or small groups of children in school. Photocopiable materials are included, along with samples of reading lists for different age groups. Challenging the Gifted Child: An Open Approach to Working with Advanced Young Readers provides practical advice for working with advanced young readers and will be an ideal resource for anyone who has responsibility for educating a gifted child.